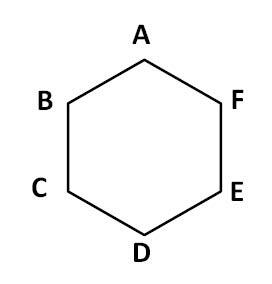 The hexagon ABCDEF is regular. That means all its sides are of the same length and all its interior angles are of the same size. Each side of the hexagon is 2m. 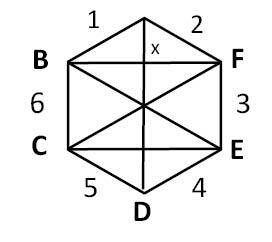 What is the area of the rectangle BCEF? 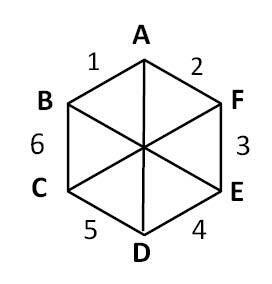 A regular hexagon comprises six equilateral triangles - each of side 2 m, the measure of the side of the regular hexagon - as shown above. The 6 triangles are numbered 1 to 6 in the figure shown above. BX is the altitude of triangle 1 and XF is the altitude of triangle 2. Both triangle 1 and triangle 2 are equilateral triangles.